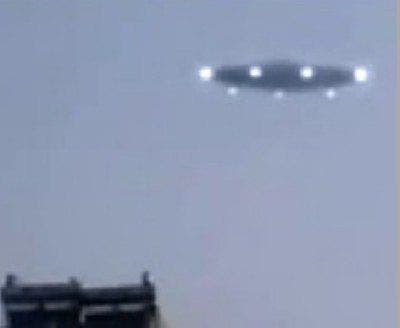 The X File Dept: Chinese Astronomer Predicts that UFOs of Extraterrestrial Origin Will Appear in 2011 0r 2012. Professor Wang Sichao, of the Purple Mountain Observatory (Zijinshan Astronomical Observatory in Nanjing, China) of the Chinese Academy of Sciences, delivered a speech on August 23 in the city of Guangzhou, during which he stated that some UFOs appear to be extraterrestrial spacecraft that demonstrate anti-gravity capability and may be engaged in research activities. Sichao also stated that UFOs have been observed by astronomers traveling as fast as 80 percent of the speed of light at distances of between 150 and 1,500 km from Earth. This follows China Daily's August 2 report that Sichao has predicted that UFOs might appear in 2011 or 2012. His prediction, made on the Yangcheng Evening News, referenced "the possible existence of 2.5 billion planets with possible civilization and advanced technology in the Milky Way Galaxy, among which the earth and its civilization are merely at a primary evolution stage." In September 2009, scientists at the Purple Mountain Observatory reported that they'd filmed a UFO for 40 minutes during the July 22 solar eclipse. Observatory director Ji Hai-sheng said, "Currently manpower is being organized to deal with this data, complete the data analysis and reveal the scientific results and this will take at least one year's time to finalize." "If they are friendly to us," Sichao said, "we can promote the human beings' civilization through exchange and cooperation with them. If they are not, as long as we prepared for their invasion, we can beat them back on their weaknesses."